Sometimes I love a novel because I feel so at home with the emotions, the characters, and the author's theme. That was the case with this book. On a hot summer day in 1969, four children from the Lower East Side, aged 7-13, sneak away to consult a woman rumored to have the power to tell fortunes and name the day you will die. Two sisters, two brothers, led along by the older brother, agree to go because it is hot, it is summer and they are bored. Each one is filled with his or her unique brand of trepidation. By the time each child has received, separately and alone, that death date, I felt I knew the personality of each. The rest of the novel follows what they made of their lives and how the death date influenced their actions. It is a wondrous family tale, full of repercussions from the Holocaust, the changing mores of American society over the next several decades, and enough joys and sorrows, hopes and dreams, births and deaths, secrets and revelations, to make every page shimmer. 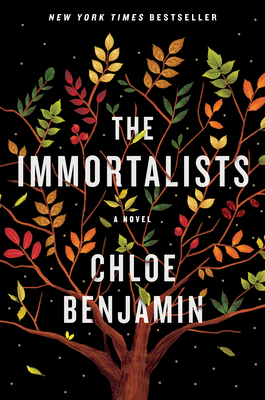 Chloe Benjamin is a phenomenal writer with imagination to spare and a big, huge heart. What an interesting idea....! I must look out for it. Fortune telling of any kind always lures me in. In real life, I feel I create my destiny by my actions but have a sneaking suspicion that my fate is not entirely in my hands. I checked out your review of that book. It sounds great! I cannot wrap my head around calling this book fantasy. It is about fate and family. Sounds like you've found another winner. To echo, Dorothy, it sounds like you've found another winner. Yes, it was a pleasure to read. Rhiannon reviewed last year. Glad you loved this one. This sounds really good. I tend to like stories that tackle issues like destiny, time and such. When they involve interesting characters and substantive issues, I like them evan more. Having such a "death date" that one actually believed in would have such a profound effect on life. I thought it amazing how well she tackled those issues. You sold me on it: hook, line and sinker. Already got it on hold. Have you read her first one? Yay! No, this is the first one of hers I have read.